You'll be £5.20 closer to your next £10.00 credit when you purchase The Last Year of the Luftwaffe. What's this? The brief career of the Nazi Luftwaffe ran from the Spanish Civil War to the apex of power, with the victory in the Battle for France, the check, by the Battle of Britain and the increasingly fast slide to defeat. In 1944 the promise of new wonder weapons lay against the reality of losing air superiority in the skies over the Homeland and the similar defeat on the Eastern Front . – Highly Recommended. The title is self-explanatory however I had not expected to find quite so much of interest in the chapters of this book. It really does capture the mood of desperation as the much-vaunted Luftwaffe teeters on the brink of extinction. 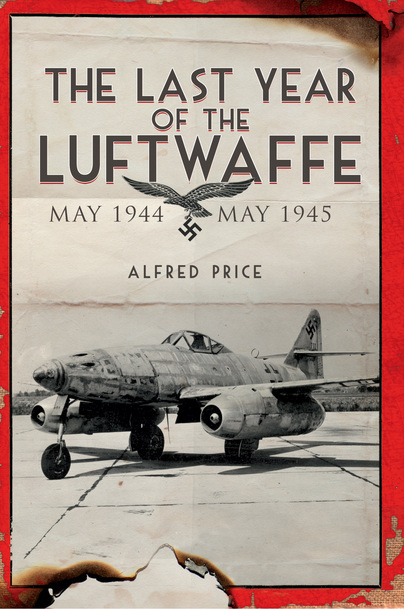 The author has managed to weave together every aspect of the final death throes of the German Air Force as it uses Jets, Rocket Propelled fighters and flying bombs alongside the depleted remnants of its conventional squadrons. We can only be grateful that these efforts were so hindered by political mismanagement and a combination of a lack of aircraft, aircrew, fuel and an overwhelming Allied onslaught in the air.